Equities up, volatility down and yields down, or wait. Today we saw some major moves higher in pretty much all DM 10-year yields. It could mean many things, but whenever a trend in a major asset class starts reversing, be sure to watch it carefully for clues in other asserts. 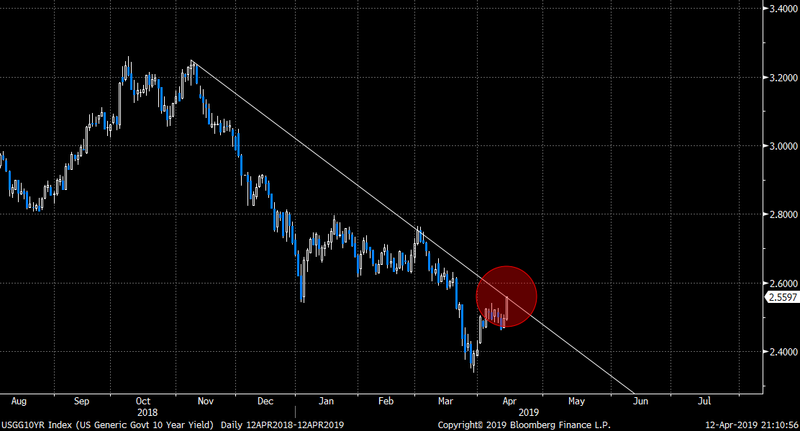 US 10-year yields popping higher today and flirts with the negative trend from last autumn. Watch the 2.57/2.6 area carefully. A close above 2.6 and many will be taken by surprise. We are not used to seeing German 10-year yields move much, especially not higher, but today was a very big move higher. The trend is still intact, but this type of price action is rare. 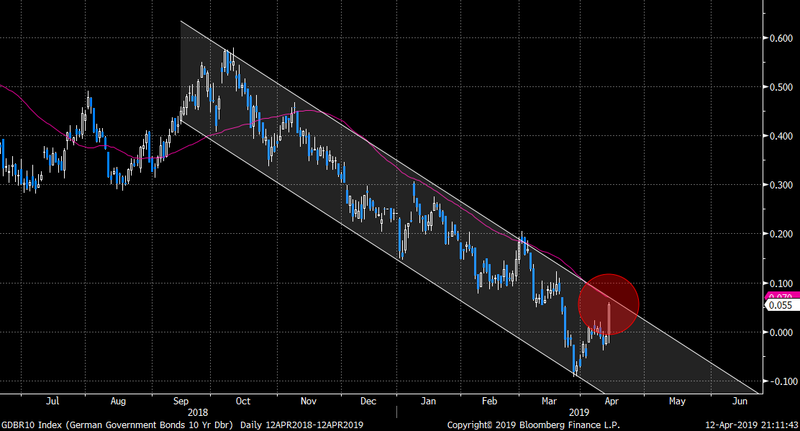 UK 10-year yields moved massively higher as well, crushing the negative trend line. 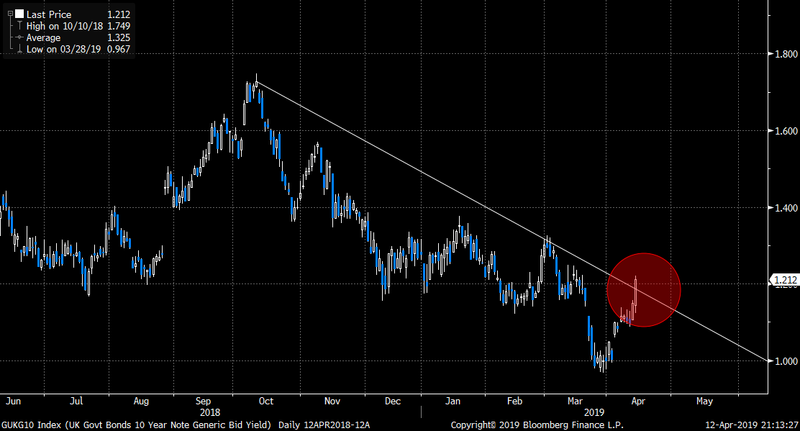 With everybody in “yields low for longer” mode, things could get very interesting should yields continue higher.